They shouldn't have made this episode. Leaping into real people is a bad idea, as people know the story. The switching between LHO/Sam was just weird. It's something they never did before really, so why here? Also, I'd say the vast majority of people know LHO didn't assassinate Kennedy, and I didn't like how they were trying to convince people that he did. It was a bit like those 9/11 propaganda movies. Bad move. The episode itself wasn't bad and pretty well done. And that was a hell of a twist at the end! But the thing is, even in the first episode - you can tell the writing is on the wall for series five. Once a show breaks it's own rule it's over. Kind of like Twin Peaks when Lynch was forced to reveal who killed Laura Palmer halfway through season two. The episode itself wasn't bad and pretty well done. And that was a hell of a twist at the end! Yeah, the twist at the end is brilliant and a clever way to work around the actual history. I didn't like Sam leaping into real people in general despite the fact that some of those episodes were enjoyable. This episode is well written and very well acted but I didn't like it. Thinking about this episode really, did Sam have any missions during the mini-leaps? I know they wrote it so that he changed history each time (e.g. not killing the guy who insulted him in the Japanese bar) but did each of those mini-leaps actually have a mission? Or was he there simply to try to gain information to solve the conspiracy? As an example, what purpose did the original leap where Maria took the photo have? Or the leap where he is handing out the propaganda about Cuba? Or where he had to carry out the attempted suicide as Oswald had done in the original history? I guess we can assume there were missions during the mini-leaps. But there is a lot in this episode that doesn't make sense. They kind of threw out the rules so they could show how bad LHO was at all times of his life. I've only watched this episode all the way through once because I really don't like it, even while respecting the effort and the acting. Someone above suggested that this episode read like propaganda and I agree, it felt like that. Wasn't this supposed to be DPB's response to Oliver Stone's JFK? QL was very good about keeping controversial issues focused on individual situations with some grey areas. Even when it dealt with hot topics like the death penalty, it didn't become an argument for or against it, it was about other more complex issues surrounding it and the specific situations of the people involved. This episode is the first one where it steps beyond that. Apologies but as amazingly this episode was done and how beautiful the performance by Scott was it didn't belong in the Quantum Leap world. It broke all the rules and was seemingly mostly pointless. Pratt herself had gritted his teeth when NBC had requested these such gimmick leaps. "Well the network wanted the famous people and I have to admit I did not like the idea of it because it made it un-Quantum Leap to me. 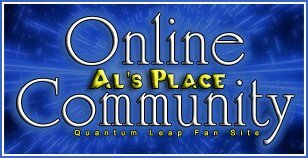 Quantum Leap was simple stories about simple people. Lee Harvey Oswald, Marilyn Monroe, and Elvis and Dr. Ruth and I kind of went 'Grrr' because it's not like that." Bellisario as well was unhappy with a lot of season five which had violated the premise of the show. In all honestly this episode seems more to me like a combination of Dr. Who and Men In Black (and I happen to know very little about Dr. Who, I have watched but two episodes). The reason for the multiple leaps into Oswald's life in connection to sparing the life of Jackie Kennedy was never clarified. It appears as though the interest was simply to portray a version of a story that in fact is still a major controversy today. Which is a secondary reason why this episode shouldn't have been made. As stated above it does seem to pressure one of a few versions of the events. It's not even a solid fact that Oswald was guilty let alone whether or not he acted alone. It appears no facts of this tragedy are solid and most likely they never will be. I am not well researched on this subject, I could easily be incorrect in my statements and I will always acknowledge that. It is a peeve of mine to witness people speaking of something that isn't solid as though it's personal. Do we really know this to be fact Spudgun? Some of the project logic in this episode kind of bugged me in addition, namely the attempt to leap Sam's neurons and masons to him through the accelorator to battle Oswald's heavy mind melt (and thanks again to Lightning McQueenie who had some time ago reminded me of this). Sloppy in my opinion, I see no sense in it. Interestingly what drew me to this thread was my finding of this article on Yahoo an hour or so ago regarding the house of Ruth Payne where Oswald and his wife had been taken into the night before the assassination. It's apparently about to be opened as a museum. It is supposed to contain holographic images of Oswald and other involved parties portraying significant events by actors. The attraction seems unnecessary and somewhat a glorifying of a tragedy but it came to mind how honestly awesome it would be if they used the scenes from the Quantum Leap portrayal if creditable. I'm catching up with some of the new posts in this thread. I agree with the idea that having Sam leap into famous people didn't fit in the QL world. In fairness, from what I understand, the network decided they wanted Sam to leap into famous people. I'm by no means an expert on how exactly they go about deciding on scripts for T.V. shows, or what goes on between networks and the people working on the shows. I'm assuming Don and company probably did their best under the circumstances to keep QL on the air. Whether they went about that in the right way or not, or who might have been responsible for the show being cancelled, is a matter of opinion. I think it would make sense if they had to do episodes with famous people for Don to do something about someone he had actually had contact with (and I have no idea how well he might have known LHO or how much contact he did have with him). It was probably a way to try and keep the network happy and still maintain some creative say-so. LHO is well-written, and to me it's worth watching just for the great acting. Good Bye Norma Jean was worth watching just to see Al go bonkers over Marilyn skinny dipping. That was a riot. Memphis Melody was worth watching just to hear Scott sing. And Dr. Ruth...Of all people for Sam to leap into! And Al getting counseling from her! That alone made the episode funny. One of the good things about QL was that I could find something to like about every episode even if it wasn't my favorite. Indeed, the awkwardness of the Dr. Ruth leap for Sam was enjoyable. This is the only episode among those of famous people that is worth watching from start to finish. Oh, yes, of course, the view of Scott is nice in that particular scene. DEFINTELY worth watching. : It was funny the way Al set him up. I watched both episodes the other and I liked them.They were darker than the other episodes I have seen so far.Still I liked QL when it was about the ordinary people.For example,for this episode Sam should have leapt into that bodyguard from the beginning.IMHO,that would be more exciting to watch.Like how Stephen King did in his book. How was the episode received when it was first aired? The one where Marilyn is in the pool and Al is yelling; Sam thinks she needs help and that's not the case. Al's yelling because Marilyn is skinny dipping. MichelleD and I had gotten slightly off topic discussing the scene in Goodbye Norma Jean where Al had set Sam up to see her skinny dipping in her pool claiming it an emergency. The only scene in both our opinions worth watching in that episode. Sam's embarrassed reaction was just priceless. On one more note pertaining to this episode a couple things that bug me about it is how they duplicate the whole 'OD walk' from One Strobe Over the Line and how Sam breaks her heart denying her the promise of always being there for her when there was no reason he couldn't have made the promise on behalf of the leapee. He had gotten his own mind too into the situation since he was star stuck by her. That certainly would have made a lot more sense in connection with the saving of Jackie Kennedy. If they had to do this angle I would have liked to see JFK portrayed and perhaps even meeting Cheryl from Camakazi Kid. Agreed how Scott never won an emmy for any of his amazing performances in this show, this but even more so Shock Theater or even maybe Dreams just baffles the hell out of me. I thought the idea that Jackie was killed in the original history and Sam was there to prevent that was an interesting idea. It was one of the few episodes where Sam leapt from one person to another in the same episode. It was well done, even considering the issue of doing leaps about famous people. That's already been discussed though, so I won't rehash that. I thought the idea that Jackie was killed in the original history and Sam was there to prevent that was an interesting idea. It was one of the few episodes where Sam leapt from one person to another in the same episode. It was an interesting idea but made no sense in connection with the multiple leaps throughout Oswald's life. That in my opinion was simply NBC's desire to use QL to tell a version of a very controversial event in history; to express that Oswald not only was guilty but acted alone though neither has been proven to my knowledge. That in my opinion was simply NBC's desire to use QL to tell a version of a very controversial event in history; to express that Oswald not only was guilty but acted alone though neither has been proven to my knowledge. Absolutely. Though I'm pretty sure it was Bellisario himself not NBC. Bellisario believed that Oswald was guilty and acted alone, and used QL to tell that version. I'm not sure but I think he was doing it in response to Oliver Stone's movie JFK which supported the conspiracy theory. Also, maybe someone can else can confirm this, but I think Bellisario may have actually met Oswald. It wasn't a positive experience if the episode is anything to go by. Absolutely. Though I'm pretty sure it was Bellisario himself not NBC. Bellisario believed that Oswald was guilty and acted alone, and used QL to tell that version. I'm not sure but I think he was doing it in response to Oliver Stone's movie JFK which supported the conspiracy theory. Actually I may have read/heard something about the episode in relation to the JFK documentary. DBP was disgruntled with that film as I recall. Though that's a bit unsettling to think he'd break one of his own rules. Also, maybe someone can else can confirm this, but I think Bellisario may have actually met Oswald. It wasn't a positive experience if the episode is anything to go by. Indeed he did, in fact the encounter is featured in the episode. Recall the scene of a random conversation between Sam and a soldier who's name if memory serves is not spoken but if you look closely is there on the breast of his uniform. That Solider is DBP (though of course in the form of an actor portraying his younger self). I thought of something else in this leap. Sam and Al had said in "A Leap For Lisa" that "Success has nothing to do with leaping". We aren't sure of what Sam's individual missions were in each of his leaps (though we know he changed "history" twice - the first time being to not kill his commanding officer at the bar in Japan, and the second is obviously saving Jackie Kennedy), but what if this leap is the perfect example of success having nothing to do with leaping. When Sam leapt to Russia, after Sam revealed everything he knew about the U2, Al said "We don't think you told the Russians anything they didn't already know...", and so was told to just do exactly as had been done the first time. Chances are if Sam didn't change anything, he didn't put right the wrong that he was put there to do, but still kept on leaping. So the question is, what could have been the "wrongs" Sam was sent to put right in each of those leaps? In his original leap, when Marina had taken Oswald's picture, I think Sam actually did change history. Maybe Oswald had originally beaten her and severely injured her? Sam might have changed that. Obviously the Japan leap, he stopped Oswald from killing his commanding officer. The leap where he talked to Bellisario, well that was just odd... Maybe he was there "admitting" to Bellisario that he was indeed a communist, thereby giving him a reason to write the episode? In Russia, maybe he had actually leapt there to prevent Oswald from giving out any information. Obviously he failed this leap, and so just had to follow what had originally happened so as not to change history in any other (worse) ways. When he leapt into Oswald about to kill the senator, maybe the leap affected his aim, and in the originally history actually did kill him? By the time Sam was in New Orleans 1963, Al was yelling at him that he was losing control and complained that he was doing exactly as Oswald did... but didn't he say back at the KGB that this IS what Sam should do? Oswald seem to be in control of Sam the majority of the time in the past. So why wasn't Sam in control most of the time in the future? This episode takes place in February 1999. Yet the leap back was set in September of '99. Was this episode really happening in the past? I know the episodes aren't necessarily I'm chronological order, but in LHO they make reference to the leap back. Does that mean that they leaped into the future in TLB and LHO is either the past or the present. Great Scott!